Blurb: When Katarina Bishop was three, her parents took her on a trip to the Louvre…to case it. For her seventh birthday, Katarina and her Uncle Eddie travelled to Austria…to steal the crown jewels. When Kat turned fifteen, she planned a con of her own—scamming her way into the best boarding school in the country, determined to leave the family business behind. Unfortunately, leaving “the life” for a normal life proves harder than she’d expected. 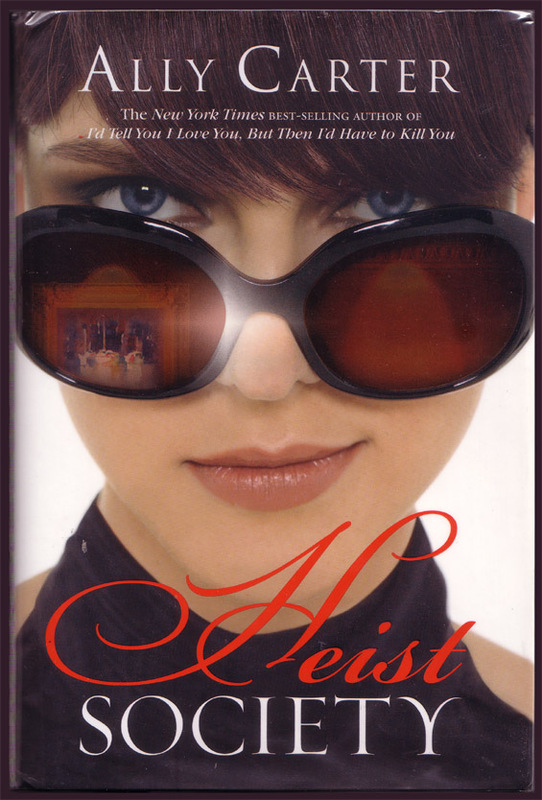 Thoughts: I love books about criminals and Heist Society is no exception. I don't know why, but it always seems that villains are much more intelligent than heroes. The plot of this book is amazing. It's really complex, full of unexpected twists and awesome plans. It's really hard to keep up with the characters' thinking. I also like the characters. They're all really unique and well formed. They feel like real people. I can't wait to go and reread this book now! Have you read Heist Society? What did you think? Do you like books about criminals?